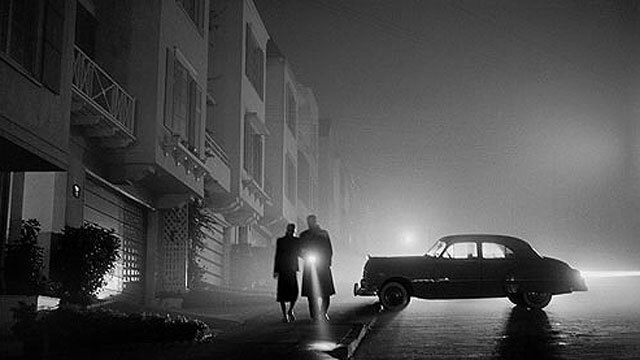 Seven decades after first stepping behind a camera, San Francisco photographer Fred Lyon is still capturing the stories of the city and its people. Although best known for his Mad Men-like photographs from the 50s and 60s, Lyon is not a believer in starving artists. His reputation also stems from his innovative commercial work in interior design, advertising, architecture, food, wine and travel photography. Lyon remains unwilling to typecast himself and continues to experiment in all aspects of the medium. Fred Lyon moves to the other side of the camera in Michael House's Fred Lyon: Living Through the Lens. Lyon recounts collaborations with superstar designers Michael Taylor and Frances Elkins, but no job was too quotidian, including an early gig documenting a Safeway supermarket. He has shot for major companies like Absolut and Home & Garden while still making time to revisit and shoot the glorious locations that have made his images iconic. The delicate balance between the commercial and the personal is something that Lyon has maintained and perfected over half a century, and he finds satisfaction in both. As a man constantly reinventing himself (he's even started using digital scanners as cameras), Fred Lyon: Living Through the Lens is the personalized narrative of an artist's ongoing journey. Through the archiving work of his assistant Laurel Thronton, many of Lyon's sumptuous photographs have been restored and are showcased in the film. It's not often a photographer gives an audience insight that is a lifetime in the making. "Digital sees everything," he says. Now, we see everything through Lyon's own wise lens.